Are too many diagnoses resulting in too many prescribed drugs? An interesting article in the NY Times questions whether we have medicalized everyday life. True, many seniors are taking too many medications. Every physician they visit is likely writing a different prescription for their symptoms. 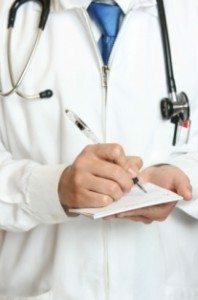 To write prescriptions, they must have a diagnosis which must be related to a disease. Do we really have so many diseases, or is the word disease and the diagnosis that is linked to it driving the cost and volume of drugs many of us ingest on a daily basis. It is healthy to be skeptical about the pain and pill phenomenon. I saw it first hand when my mom was ill from pneumonia and there were so many medications being pumped into her that she was ill from the pills. Most people are unaware that when a doctor or group of doctors define a disease such as Fibromyalgia, there is often a medication that is recommended to combat the symptoms of the disease. Some doctors are now questioning this age old practice. Check out the NY Times article. With millions of Americans taking risky medications for questionable diagnoses, have we medicalized everyday life? I recently cared for a hairdresser who had gone through a year of vague and varied symptoms. What started as a few unpleasant aches soon became debilitating pain throughout her body. A heavy fatigue settled into her bones: Holding scissors or sweeping the floor became too much. She slept fitfully; her memory flagged. Frustrated by many symptoms and few answers, she grew anxious and depressed. Our medical team, after a battery of unrevealing tests, settled on a diagnosis of fibromyalgia. Tears welled in her eyes as I explained the diagnosis, and I worried I’d been too brusque. But these were tears of relief, she said, not because the symptoms had ceased, but because she finally had an answer, a name for her pain.